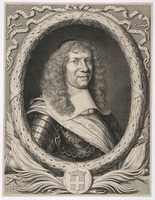 PICOTÉ DE BELESTRE, PIERRE, merchant, fur trader, officer of the garrison of Montreal; b. c. 1637 in France, son of François Picoté de Belestre, a doctor; d. January 1679 at Montreal and was buried there on the 30th of that month. 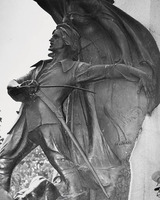 He came to Canada in 1659 as a member of the contingent accompanying the Religious Hospitallers of La Flèche, who had been authorized to come to Ville-Marie (Montreal). His sister Perrinne, one of Jeanne Mance’s two lay companions on the crossing, was for some time a novice with the Hospitallers. Dollier* de Casson, who recorded Pierre Picoté de Belestre’s arrival at Ville-Marie, declared that “he indeed graces this place in time of war as well as when we are enjoying peace, because of the outstanding qualities which he possesses for both of these occasions.” In fact, we know little about him, although he seems to have had a certain prestige among the members of the settlement at Montreal. A trader at the annual fair at Montreal and an honorary churchwarden in 1671, he received that same year a grant of land at Pointe-aux-Trembles. His name is most frequently associated with warlike episodes. In 1660 he was one of those who asked Dollard Des Ormeaux to postpone his undertaking until after seeding, so that they could take part in it. 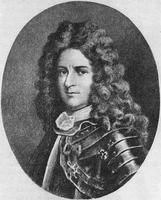 Later, upon receipt of the news of the defeat at the Long Sault and the possibility of an attack in force against the post, Chomedey de Maisonneuve appointed him to take charge of the defence of the house at Sainte-Marie which belonged to the Sulpicians and which was situated half a league from Ville-Marie. In May 1662 he repulsed at this same place an attack by 50 Iroquois, whom he succeeded in routing. Two years later he was again involved in an Iroquois ambush. Finally, in 1666 he took part in Prouville de Tracy’s expedition as a lieutenant commanding the troops that had been raised at Montreal. 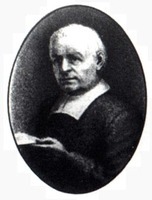 Pierre Picoté de Belestre had married Marie Pars in France. He had at least five children, including Hélène, who married Antoine de La Frenaye de Brucy; Marie-Anne, who married Alphonse Tonty*; and Jeanne-Geneviève, who was seduced by Pierre Le Moyne* d’Iberville. AJM, Greffe de Bénigne Basset, 12 déc. 1684, Inventaire des biens de Picoté de Belestre. Dollier de Casson, Histoire du Montréal, 141, 143, 168, 180f. BRH, XV (1909), 153. Faillon, Histoire de la colonie française, II, 361, 389, 398, 418, 419, 517–19; III, 94–141. “La foire des pelleteries à Montréal au XVIIe siècle,” BRH, XXVIII (1922), 373–80. Bibliothèque et Arch. Nationales du Québec, Centre d’arch. de Montréal, CE601-S51, 30 janv. 1679. Jean Blain, “PICOTÉ DE BELESTRE, PIERRE,” in Dictionary of Canadian Biography, vol. 1, University of Toronto/Université Laval, 2003–, accessed April 25, 2019, http://www.biographi.ca/en/bio/picote_de_belestre_pierre_1E.html.